Professor in the Academic Unit of Anaesthesia and Intensive Care, Institute of Medical Sciences, University of Aberdeen. Her research interests are inflammatory responses of sepsis- particularly of oxidative stress in mitochondria and the use of antioxidants targeted to mitochondria as therapeutic approaches. Helen has been an ARS member for 20 years and has held two terms of office as a member of the ARS Council, latterly as Grants Officer, before becoming President in 2016. Gary was Regional Advisor for Intensive Care Medicine for South Yorkshire for 9 years and is now Chair of the Yorkshire and Humber CRN for Critical Care Medicine and a member of the National Specialty Group for the research area. He is an Honorary Professor in Critical Care Medicine and Perioperative Medicine at Sheffield University and has a PhD in respiratory physiology and critical care based research from work carried out in the respiratory muscle laboratory at The Royal Brompton Hospital and Kings College Hospital, London. He is a member of the National Perioperative Innovation for Practise Committee. He is lead examiner for the SOE section of the FFICM exam. He is the UK National Lead for the European PROVHILO, PROVENT, PROBESE and PROTHOR studies and BALANCED. He is a member of the GAINS (Genomics in sepsis) management committee and chaired the launch of the European Charter for the inclusion of older people in clinical trials and presented this to the EU Parliament in Brussels. He has held a number of EPSRC research council grants for research into intelligent systems applied to the respiratory system and critical care and currently is leading the LUNGSAFAS study using hyperpolarised helium and xenon functional lung MR imaging in the perioperative period. Consultant and Honorary Professor, Institute of Academic Anaesthesia, Centre for Neuroscience, Ninewells Hospital and Medical School, Dundee. Research interests include ultrasound guided regional anaesthesia and the pharmacodynamics of local anaesthetics for perineural and neuraxial block. He is an associate researcher within the Ultrasound research team at the Institute for Medical and Surgical Technology, University of Dundee. This team is currently validating Thiel cadavers as a simulator for regional anaesthesia, developing new imaging technologies such as enhanced elastography and designing new ultrasound probes specifically for anaesthesia. Dr Brendan McGrath is a Consultant in Anaesthesia & Intensive Care Medicine at the University Hospital South Manchester and is an Honorary Senior Lecturer in the Institute of Inflammation and Repair. He has an interest in airway management in the critically ill and leads on a number of national and international safety and quality improvement projects. He set up and chairs the UK National Tracheostomy Safety Project www.tracheostomy.org.uk and is European Lead for the Global Tracheostomy Collaborative www.globaltrach.org. He was appointed National Tracheostomy Lead Clinician by NHS England in 2015 and works in this role in close collaboration with the Royal College of Anaesthetists as National Clinical Advisor. Brendan has secured a number of grants allowing him to conduct airway-related research in collaboration with the National Patient Safety Agency (NPSA), National Confidential Enquiry into Patient Outcome and Death (NCEPOD) and the Health Foundation. His international contribution to airway safety was recognised by being appointed as one of the Trevor Magill Visiting Professors at Harvard University & Boston Children's Hospital. Brendan has an interest in medical technology, especially in critical care. He is currently one of the MIMIT (Manchester Integrating Medicine and Innovative Technology) site miners at UHSM, helping to identify unmet clinical needs and link with University departments and projects to identify potential solutions. Malachy Columb is Consultant in Anaesthesia and Intensive Medicine at the University Hospital of South Manchester, Wythenshawe, UK, since 1996. He graduated from University College Dublin, Eire (1985), trained in Anaesthesia in Leeds, West Yorkshire and was a faculty member at the Department of Anesthesiology, University of Michigan, Ann Arbor, USA (1994-5). 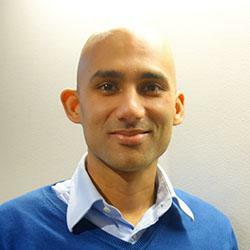 His research interests include the clinical pharmacodynamics of local anaesthetic agents where he developed the minimum local analgesic concentration (MLAC) model which has been replicated world-wide. He is an Editor at the European Journal of Anaesthesiology (EJA), is a member of the Associate Editorial Board at the British Journal of Anaesthesia (BJA) and the Editorial Board of the International Journal of Obstetric Anesthesia (IJOA). He has published over 100 scientific articles including, 70 original research articles, 40 reviews and 170 abstracts. His research has gained 22 national and international prizes. He is ranked at number one in the UK and Ireland and in the top 10 world rankings in four categories for anaesthetic expertise on biomedexperts.com (December 2014) related to the clinical pharmacology of local anaesthetics. He is also the Chairman of the Masterclass in Statistics and Research Methodology for the European Society of Anaesthesiology (ESA). 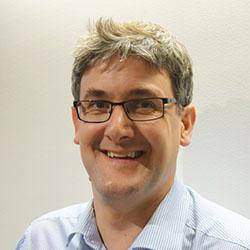 Mike Sury is a Consultant Paediatric Anaesthetist and has worked at Great Ormond Street Hospital since 1990. He is also an Honorary Senior Lecturer at the Portex Unit of Paediatric Anaesthesia Great Ormond Street Institute of Child Health UCL. Mike qualified from Kings College Hospital Medical School in 1980 and was trained in anaesthesia at Worcester Royal Infirmary, St Bartholomew's, Alder Hey and Kings College Hospitals. He was a research fellow at St Bartholomew's Hospital. Since taking a Consultant post at GOSH in 1990 he has continued to undertake clinical research while remaining a full time clinician. His PhD is from UCL. Mike is lead for sedation and anaesthesia for diagnostic and therapeutic procedures outside operating theatres (endoscopy, MRI, interventional radiology, cardiac angiography and short painful procedures). He leads anaesthesia research at GOSH and at the Portex Unit ICH. His interests include the development of fast acting sedation and anaesthesia techniques, level of consciousness monitoring and the assessment of new technology in infants. He has published on a wide range of anaesthesia topics and he supervises trainees and medical students undertaking research projects. He is co-editor of Hatch and Sumner's "Textbook of Paediatric Anaesthesia" 3rd ed. Chairman of NICE guideline development group "Sedation for diagnostic and therapeutic procedures in children and young people". Organiser of national conferences "Safe Paediatric Sedation". International lecturer on paediatric sedation. NAP5 committee member (2016 Humphrey Davy Prize co-winner). Professor Daqing Ma, MD, PhD, FRCA, is Professor of Anaesthesia, BOC Chair, Macintosh Professor (2014-16) and Head of Anaesthesia Research of the Section of Anaesthetics, Pain Medicine & Intensive Care, Department of Surgery & Cancer, Faculty of Medicine, Imperial College London, and Chelsea and Westminster Hospital. He has more than 200 publications (H index 37) of original articles being published in the English peer reviewed journals (e.g. Lancet, PNAS, Annals of Neurology, Annals of Surgery, BMJ, JASN, Critical Care Medicine, Anesthesiology and etc.) covering research fields of Anesthesiology, Pharmacology, Neuroscience, Neurology and Nephrology, and two international patents. His main research interests are organoprotection including kidney transplant, postoperative cognitive dysfunction, Cancer and Pain. His research has been supporting with the grants from MRC, Alzheimer's Society-Bupa Foundation, BJA, RCoA, AAGBI, Westminster Medical School Research Trust, Action Medical Research and SPARKS, UK and European Society of Anesthesiology, Brussels. 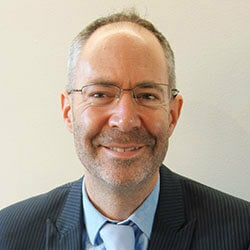 He is also a Board Member of British Journal of Anaesthesia and Academic Editor of PLoS One. I have a broad range of research interests in neuroimaging of anaesthesia, sleep and pain. I use multi-modal neuroimaging techniques, such as combined electrocephalography (EEG) and functional magnetic resonance imaging (FMRI), to observe the changes in the brain's activity and connectivity associated with altered states of consciousness, particularly general anaesthesia and sleep. As part of the Knoop fellowship, I will be investigating how these brain structures and networks are modulated by non-image forming light input to the eyes to promote conscious awakening from sleep. I am principal investigator of the Oxford Persisting Post-operative Pain Study. This is a major clinical trial to identify the incidence and predictive factors for development of chronic pain after surgery and its impact on quality of life. Consultant Clinical Scientist in Anaesthesia at Central Manchester University Hospitals NHS Foundation Trust (CMFT) and holds an honorary post in The Division of Cardiovascular Sciences, University of Manchester. She trained in Nuclear Medicine and Clinical Engineering before gaining her PhD in the School of Medicine, University of Manchester. She is a Chartered Scientist awarded through the Institute of Physics and Engineering in Medicine (IPEM) and also a MIMIT (Manchester: Improving Medicine with Innovation and Technology) Site Miner for Manchester Academic Health Science Centre (MAHSC). Her varied research interests include all aspects of physiological measurement in the specialities of Anaesthesia and Critical Care including EMG, EEG, NIRS (Near Infrared Spectroscopy), Electrical Impedance Tomography (EIT), BIS monitoring for the measurement of depth of anaesthesia and sedation and clinical applications of metabolomics. 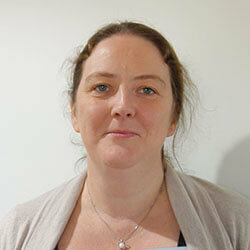 She is scientific manager for the preoperative CPET (Cardiopulmonary Exercise Testing) service at CMFT and has a keen interest in medical statistics and mathematical and statistical modelling. As the RAFT and trainee representative on the council my aim is to both provide a trainee voice to the ARS council, but also to help enhance the engagement of trainees undertaking research into anaesthesia and related specialities with the ARS. I am a strong advocate of the trainee research networks, having been a founding member of the AARMY research group, and currently chair this network. I am currently undertaking a MRC/BJA clinical research training fellowship in anaesthesia within the national referral centre for malignant hyperthermia in Leeds. My major research interest is the modulation of ion channels and how this relate to health and disease. Specifically, my current doctoral research project is addressing the fundamental need to understand how the genetic differences seen in patients with MH affects the entry and regulation systems of calcium in skeletal muscle.